Every child according to the Hindu custom, has their first birthday celebrated with a homam offering which is called as the Ayusha-Homam, or the sacrificial offering for a child’s longevity. 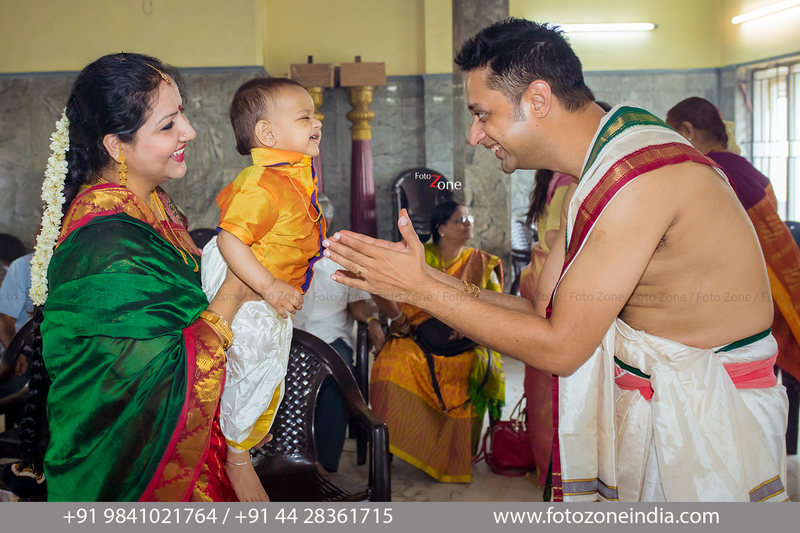 The parents – Poorani and Venkatesh along with their one year old son, Kshayadveer, were a delight to capture. The occasion was in the morning time, and we had ample natural lighting in the venue to play with. We wanted to create a photo story through pictures and quickly formed a rough idea of what moments in the occasion we wanted to capture. It started with neatly arranged pooja articles, signifying the sanctity. The core image of the function, being the family gathered in front of the sacrificial fire, offering their sincere prayers was captured. Their expressions reflected their togetherness in thought very beautifully. In between the solemnity of the function, we managed to catch some poignant mother-son moments and this one is very special as Kshayadveer gifted us his most peaceful expression! 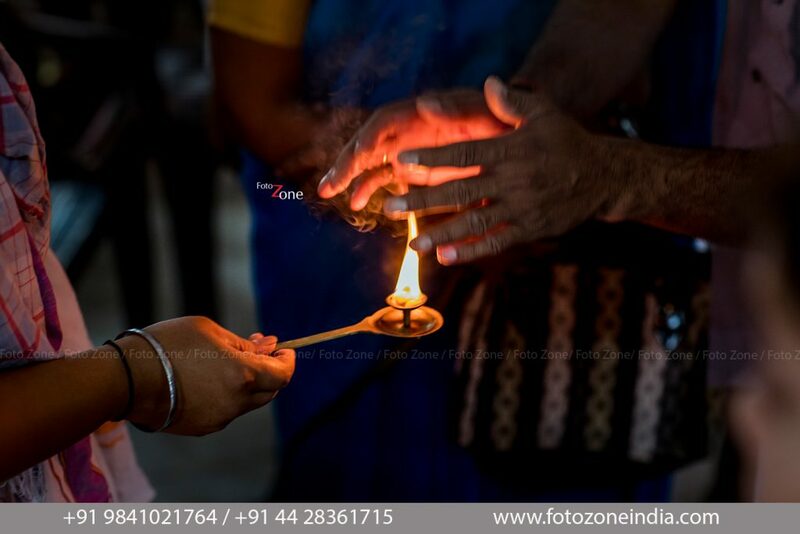 The parents were deeply involved in the pooja proceedings and we could capture some of the subtle moments where they were offering their prayers together. 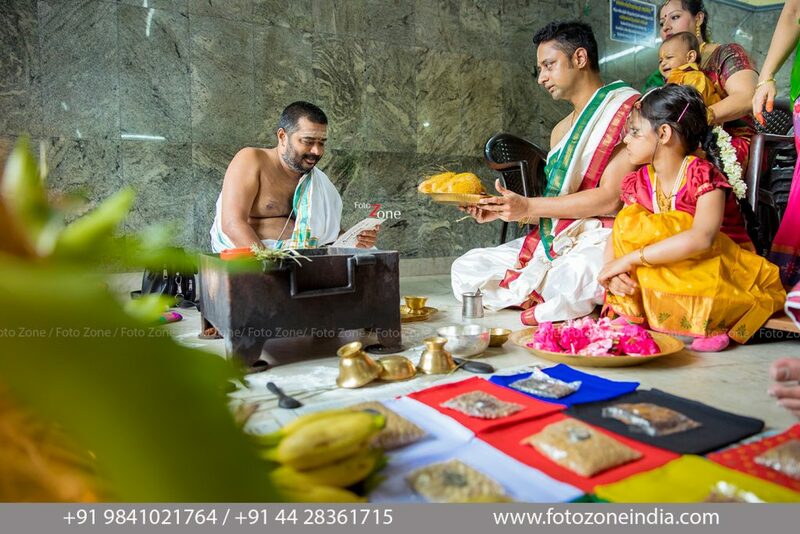 Poorani holding the dharba on Venkatesh while he offers prayers is an action unique to Brahmin functions. This deeply signified the lifeline, thoughts and energies of the wife passing on with the husband towards the single thought of wellness for their son. 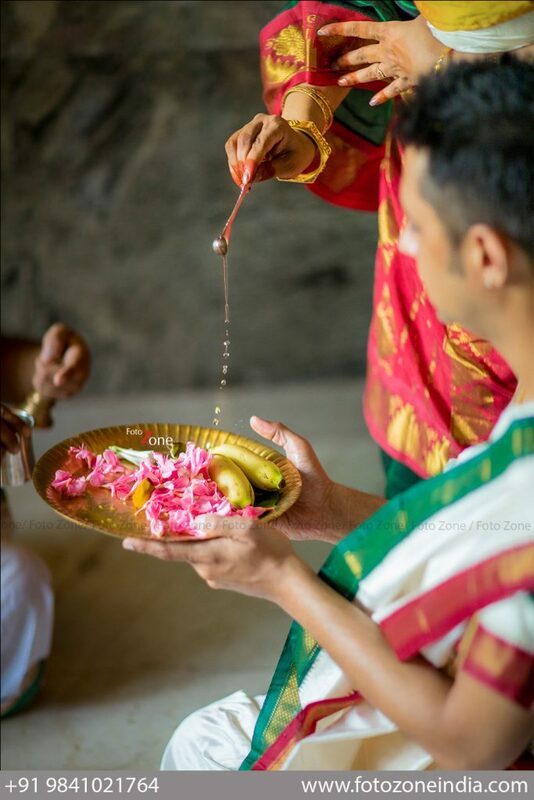 Poorani offers holy water in the fruit offerings, held by Venkatesh, which signifies that completeness is achieved only when the wife (the other half) also offers her prayers. On another note, we could capture some handsome shots for the hero of the day, Kshayadveer in his naughty element! His father joined him, showing him the delicious aspects of life, encouraging him to reach out to for the bunch of bananas. Now that is some real encouragement! 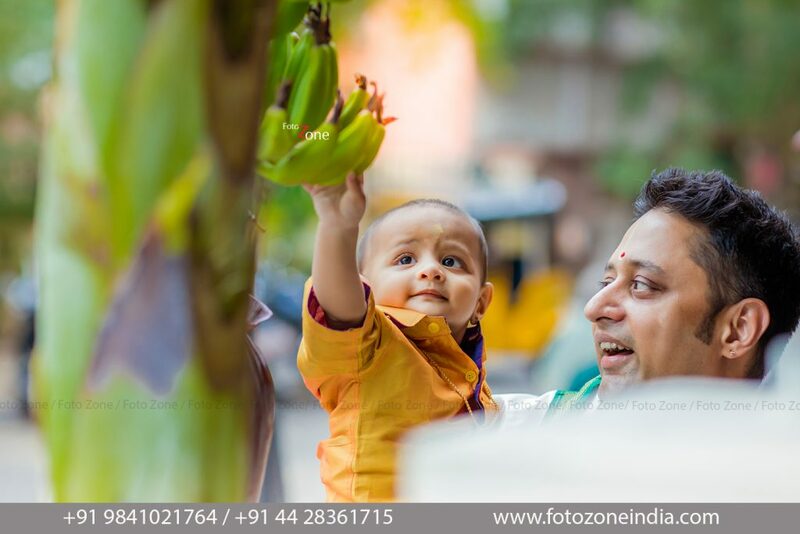 Poorani and Venkatesh had a light moment with Kshayadveer and we could capture his giggling heartily at his father. We would call this the highlight of the entire day. 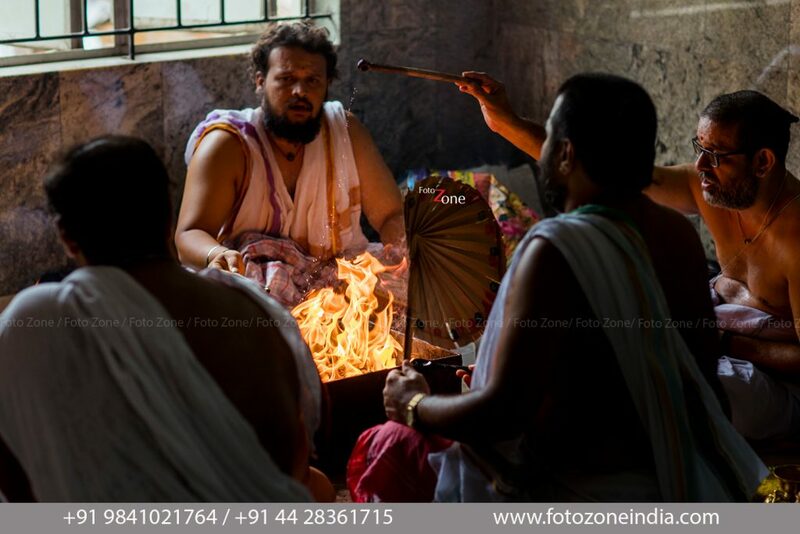 The rituals ended on a high note with the priests invoking the sacrificial fire through Vedic chants and offering the camphor fire for all those who had come to grace the child and parents on this day. Every ritual and every function has a deeper meaning and an emotional layer attached. Ayusha Homam is the day where the mother’s wishes for her child, the joy of carrying the child inside and outside of her for two years, come together as he completes one year and is ready to embark on a life of experiences. 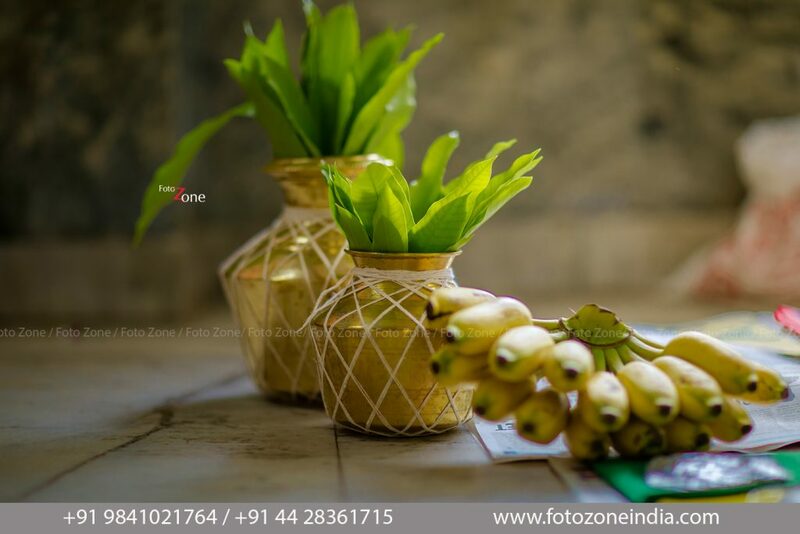 FotoZone kids photography had a wonderful time capturing the oft-missed moments and we consider ourselves lucky every time when clients trust us to immortalize their special moments. 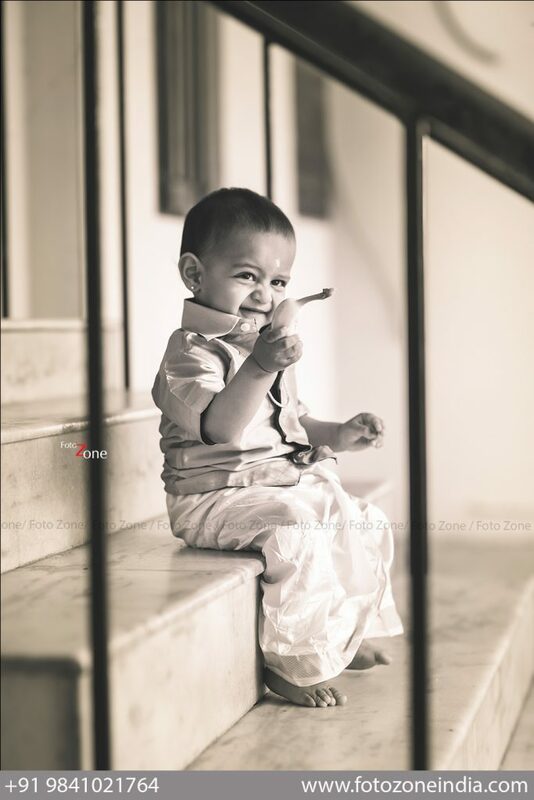 Kids photography is a very heart warming art and we get to experience magic at a close range, with myriad expressions, giggles, drools and tantrums. 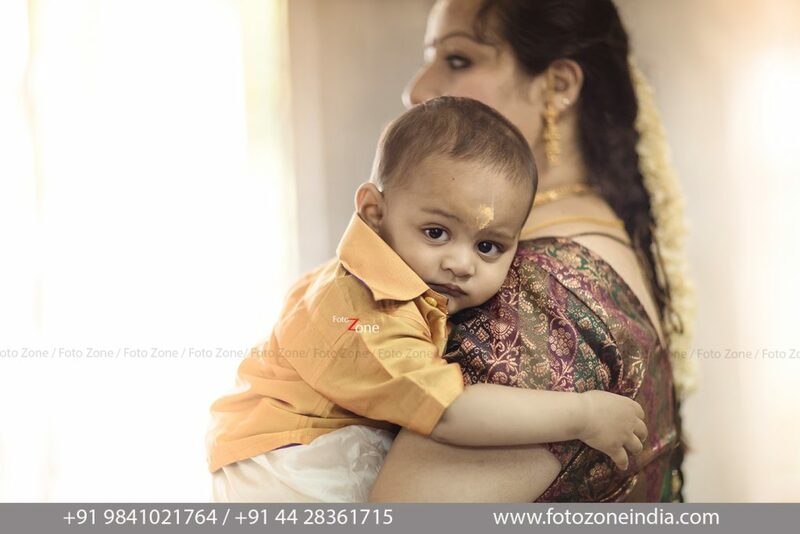 FotoZone India has rich experience with kids photoshoot, toddler photography, baby photoshoot and we are Chennai’s very few baby and kids photographers who have had the best and the most cooperative clients! Check out our work on Facebook and Instagram pages and do drop us an enquiry for shoot details and dates.